I am in dark, choppy water and I can’t feel the bottom or see the shore. Waves come one after one with no relief. I gasp for air and cry out as exhaustion and despair threaten to pull me under their weight. There is no quick fix for this pain and no reasoning away this fear. I can’t erase the heartache or fill the emptiness. But he has called me out upon these waters and asked me to trust him. He has called me out upon these waters and promised that I am not alone. When I am exhausted and afraid, he promises to hear my cries. When desperate, helpless tears fall, he sees my pain. When discouragement and fatigue threaten to pull me under, he promises to sustain my weary heart. He has plans for my good. He will not leave me or forsake me. He is sovereign over me. Are the waves of heartbreak crashing over you today? Are you feeling weary and forgotten, broken and overwhelmed? 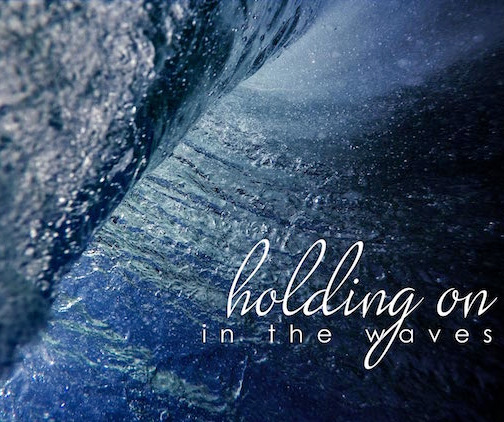 God is waiting to carry you through your deep waters. He will not leave you or forsake you. Reach out for him and he will pull you up. I am so glad you were encouraged. Praying you would experience God’s love and faithfulness through your journey.